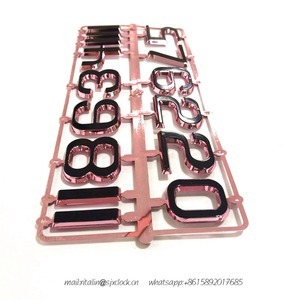 Pn in winter , Snow White weather will let your number clock more interesting. 2. Limited 180-Day Warranty 3.we are directly factory ,if you want make a trial order ,it can 1 ctn(80pcs )for test. rotating movement etc 3.Our client are all over the world ,we hope as your best partner too . 8 YRS Shenzhen MKX Electronics Ltd.
9 YRS Golden Clock Electronics Co., Ltd.
12 YRS Zhangzhou Deheng Electronic Co., Ltd.
2.but the issuu is ,first time you don't need so much ,you can tell our quality first time . in this case ,A,you can together with your other item ,in our home market ,shipping cost no expensive . rotating movement etc 3.Our client are all over the world ,we hope as your best partner too . 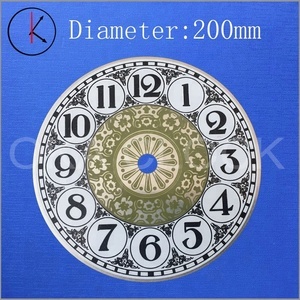 mechanical German movement clock dial for floor clock 1. the size :dia :150mm 165,180,195,215,275,300,315mm 285x407mm 300x400mm 330x330mm 300x395 300x435mm 380x280mm 2.we can make the size as your size and design . and weight ,chains ,clock's hands,movement . hinge for clock door ) please do not hesitated contact us. 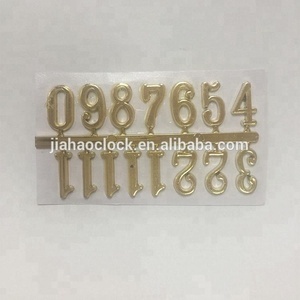 OEM ODM factory manufacture SGS ISO ROHS custom polish grade molds stamping part silver metal clock numbers as your drawing Product develop metal parts and rubber parts according to customers&rsquo; demand. Surface treatment zinc plated, nickel plated, tin plated, brass plated , silver plated, gold plated, anodizing , Heat treatment , salt fog test , chain plating, hanging plating, rolling plating, etc. Application Our products are widely used in electronic appliances, lighting, switch, sanitary, sanitary ware, jewelry, watches, toys, furniture, gifts, handbags, umbrellas, doors and windows, etc. 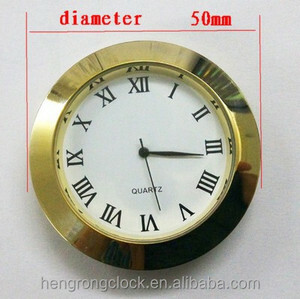 R & L clock INC.
10MM, 15MM,20MM,25MM,30MM MORE SIZE FOR CHOOSING. FINISHED IN GOLD AND SILVER. 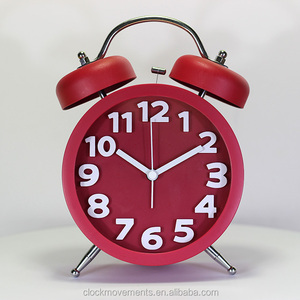 Alibaba.com offers 5,893 numbers for clocks products. About 1% of these are inkjet printers, 1% are electronic signs, and 1% are painting & calligraphy. 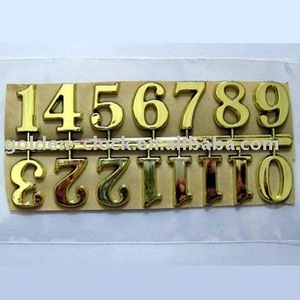 A wide variety of numbers for clocks options are available to you, such as metal, plastic, and acrylic. You can also choose from free samples, paid samples. 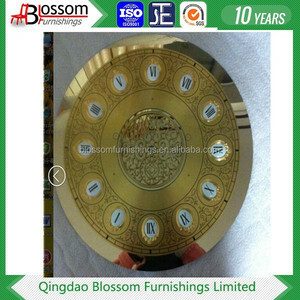 There are 5,893 numbers for clocks suppliers, mainly located in Asia. 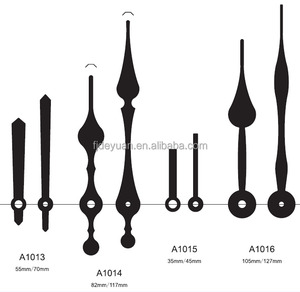 The top supplying country is China (Mainland), which supply 100% of numbers for clocks respectively. 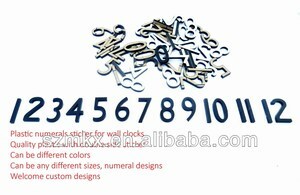 Numbers for clocks products are most popular in North America, Western Europe, and Eastern Europe. You can ensure product safety by selecting from certified suppliers, including 818 with ISO9001, 451 with Other, and 165 with BSCI certification.